The Hungarian National Film Fund has announced today that Oscar-winning director László Nemes Jeles’ new film, Sunset has been selected as the Hungarian entry for the Academy Award for Best Foreign Language Film. The award is handed out annually by the United States Academy of Motion Picture Arts and Sciences to a feature-length motion picture produced outside the United States that contains primarily non-English dialogue. Hungary’ annual submission is selected by a committee of highly regarded film professionals. The American Film Academy announces the five films officially nominated for the Oscar in early January. 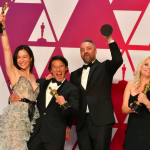 Last year, Ildikó Enyedi’s On Body and Soul has been nominated for the Academy Award, while in the previous two years, both Hungarian nominees has won their categories. In 2017, Kristóf Deák’s Sing won the Academy Award for Best Live Action Short Film, in 2016 the Holocaust drama Son of Saul, László Nemes’ previous film, took home that year’s Foreign Language Oscar. The Hungarian Film Fund supported the movie’s production with a generous 1.59 billion-forint (EUR 4.8m) grant, and distributors from nearly 70 countries bought the film before its world premiere. The Hungarian audience can see Sunset first at the 15. Jameson Cinefest, Miskolc International Film Festival on 15 September and the film will premiere in Hungarian cinemas on 27 September.